Do I have the final say on who rents my property? Yes, after we process the application and have the results, we will notify you and make our recommendation based on our guidelines and experience. Though the management agreement gives us the authority to approve a tenant on our own, we prefer to consult with you to make the final determination after the application results are available, so that we are all on the same page. How do I get my income from the renters? The tenant pays rent to us. We then process the tenant's payment and issue any applicable disbursement as well as a statement of your account each month. Typically, we direct deposit the funds into your account, but we can also mail you a paper check if requested. 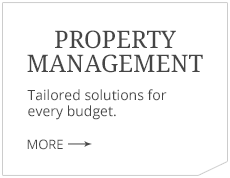 We utilize a multi-pronged approach when marketing your property. This includes a sign in the yard, listing in the MLS, and a strong web presence, including listings on several key real estate sites (including Zillow, Trulia, Realtor.com, and Homes.com). 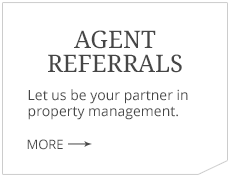 Also, we partner with other area property managers to exchange tenants for mutual benefit. The approach helps us keep vacancy rates low. What fees are associated with managing my property? Please download a services and pricing flyer. What happens if my tenant breaks his lease? We will notify you immediately. We will charge applicable fees and penalties to the tenants and we will prepare the property for relisting as quickly as possible. Each situation is different, so we will recommend what we believe is the best course of action to minimize financial losses on your part. What happens if tenant damage exceeds the deposit? Through careful screening, we are proactive in reducing the risk that this scenario will occur. However, there is no way to fully eliminate the risk, so it can happen. 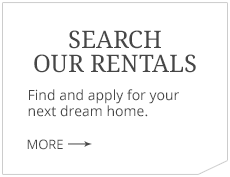 If it does, we will add all applicable charges to the tenant’s ledger. Any amount due after the deposit is applied will be processed through our outside credit collections service. If funds are collected from the tenant, we will process the payment and disburse funds to you. What happens when repairs or maintenance is needed? You get a choice when it comes to repairs. You may choose to use our qualified contractors or someone of your choice (including homeowners’ warranty companies). Our contractors will often have the advantage of negotiated bulk rates, but we do not force you to use our contractors. Also, we do not keep contractors on the payroll, as we believe this is a conflict of interest. Once on the payroll, a management company might be incented to keep their people busy regardless of whether repairs were needed. Regardless of who is performing a repair, we can coordinate with the tenant and follow-up after completion to ensure the work was done satisfactorily. 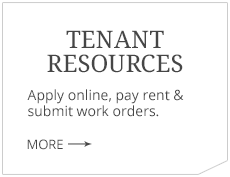 If a tenant is not paying, we will contact you to discuss the option to file eviction. We will handle the eviction from beginning to end. Court costs and eviction expenses are passed through to you, but without markup, so it costs the same as though you are doing the eviction yourself. When do you inspect my property? At a minimum we will do a full inspection at every renewal and move in/out. Also, we will inspect a unit at any time upon owner request at no charge. In addition, our subcontractors are trained to check the property condition every time they perform maintenance or repairs, and report any potential issues back to us. Will you notify me of the condition of my property and make ready needs when a tenant moves out? Yes, we will give you the details of our walk through and our recommendations for make ready. We will also go over make-ready items and whether the tenant will be responsible for paying them from their deposit.